Lake Simcoe has been known for decades as the "Ice Fishing Capital of North America" and it's no wonder, considering that more people fish this inland lake during the winter than any other body of water in the province. 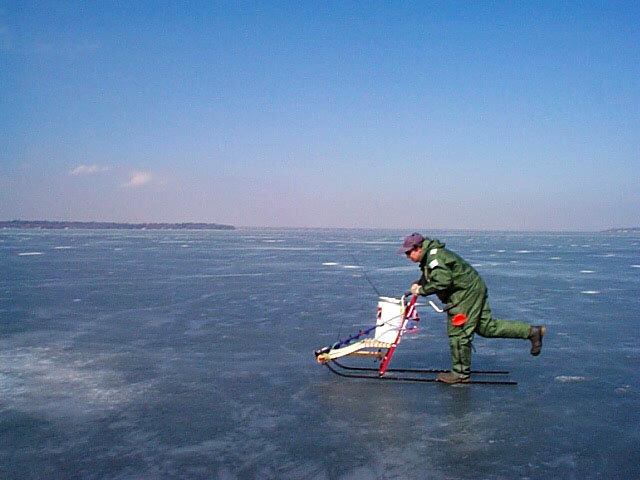 Despite its fame among the ice angling crowd however, Lake Simcoe is still one of the most productive hard water fisheries anywhere on the continent. 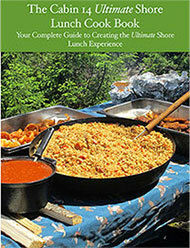 Visiting anglers flock to the lake from all over south central Ontario and the northern US states. Furthermore, it is not surprising that Fish On Line Canada patrons in particular enjoy fishing Lake Simcoe, as Kris has mentioned that the first contribution that I ever made to this site (Oct. 2005) entitled Fishing Lake Simcoe, has become the most read article ever posted on this site. What visitors and locals have in common when they fish Simcoe is a mutual desire to optimize their time spent on the lake. That first piece I wrote over a year ago covered was more of an overview of the lake and what you can expect there on a season by season basis. Today however, let's examine the coming hard water season only and have a look at some ways to increase the success rate of Fishing Lake Simcoe readers for some of the most popular winter species the lake offers. The winter of 2006 was definitely a lot milder than the year before so ice anglers were slow in getting out of the starting blocks. Although perch anglers were able to get out prior to the New Year in many places, much of the main lake was not ready until almost February. Ice hut operators and avid anglers are praying that global warming will not be as evident this winter so that ice conditions will far surpass those of 2005. 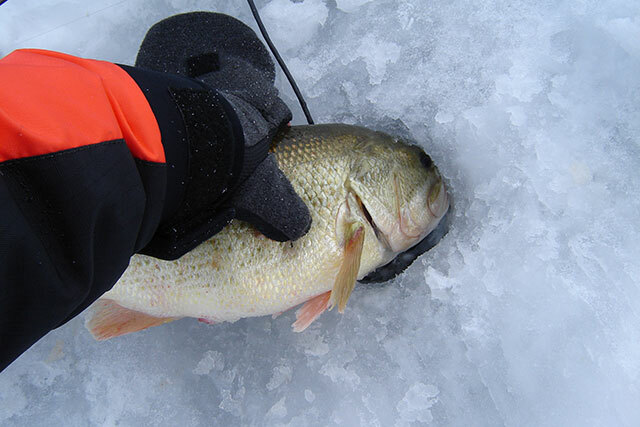 Early starts to the new season often begin with those avid ice anglers testing their perch fishing skills before Christmas in shallow water areas that freeze safe first like the southeast portion of Cooks Bay or parts of the Virginia Basin. At press time however in mid-December this seemed unlikely for 2006. Not unlikely for the New Year will be the intense anticipation that the 'main lake' will soon freeze solid. This anxiety will be most felt by lakes numerous ice hut operators who will be itching to open for business as quickly as possible after the lake trout and whitefish season opens on New Years Day. Still don't be surprised if it isn't until late January when those lake trout and whitefish grounds are in full operation. By then most hut operators will hopefully have their huts in place to take full advantage of their short season which finishes March 15th. This marks the closing of lake trout and whitefish season and is also the date when all huts must be off the lake. Ideal "ice making conditions" are predicated by a few key factors - not the least of which is the obvious sub-zero temperatures required to form ice. The colder the better - but even -10 Degree Celsius sometimes isn't enough if those strong north-west winds dominate the weather pattern. So too with snow… Heavy snowfalls can insulate a thin layer of ice and actually slow-down the freezing process. So, a few calm, clear, cold nights in the -15-30 Degree range are just what keen ice anglers are waiting for before they consider walking out there to test their skills instead of their luck at 'staying on-top'. Even with the commonly worn floater suit and ice picks, no ice-angler worth his/her salt ventures out there when conditions have not been conducive to good ice making. Make sure to contact a local ice hut operator or bait and tackle shop to learn what ice conditions are in the area you plan on visiting. Once we can safely get out there, our enthusiasm with this great winter sport will be contagious as die-hards as attract those occasional anglers who make up the bulk of the ice fishing community out on Lake Simcoe each winter. Regardless of whether you are a weekend angler or one who fishes the hard water every chance you get - we all have one thing in common… We love to get bit so, here are some tips to help you catch the four most popular fish sought during any given winter on Lake Simcoe. 2007 Prediction: Fishing for lake trout will be quite good as long as a couple of key elements come together. 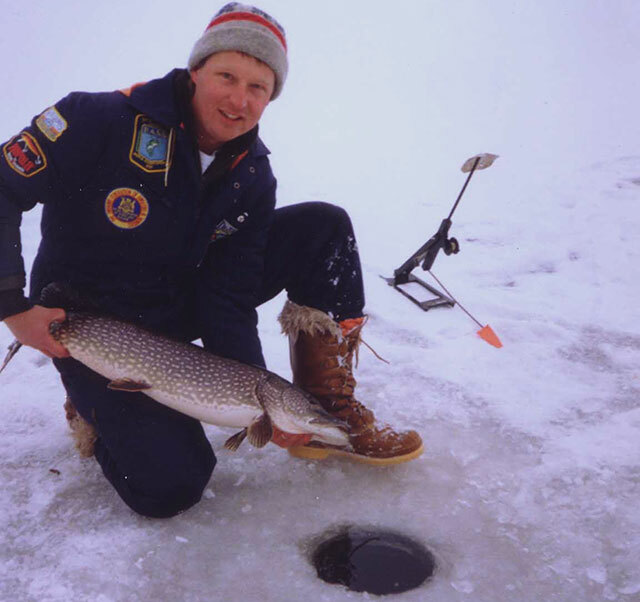 Most important … anglers will need good thick ice in order to reach the main lake spots that lake trout inhabit. If we have poor ice we'll have poor laker fishing. If anglers can reach the main lake however and they are willing to move around looking for the schools of baitfish that the lakers are feeding on, then the action should be very good. 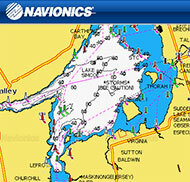 Finding these schools can be tricky though - especially without a good sonar unit like the Lowrance Ice Machine which is able to detect the smallest minnow or largest fish below your hole instantly in either an LCD or flasher mode. Wil's laker tip for 2007: "Utilize a two hole system for lakers this winter. Try a Polar or Windlass Tip up in one hole rigged with either a live minnow or one of the Berkley Power Gulp minnows in smelt or shiner patterns. These can be rigged on a single red Gamakatsu hook and split shot rig or even on a 1/8 ounce darter jig head. I present this bait where I have noticed schools of baitfish on my Ice Machine. In the other hole nearby - I'm jigging one of the above spoons at various depths to attract lakers into the area … but I'm watching that Polar or Windlass carefully for that bright orange flag to pop up. And when it does … whoa, the race is on- first one to the hole wins! Whitefish: 140,000 whities are stocked here annually by MNR to maintain this popular fishery and although there are some 'wild' whitefish the vast majority are still stocked fish. Whitefish are normally bottom dwellers and their underslung mouth is ideally suited to pick up crustaceans, invertebrates and other critters off bottom. It is no wonder that traditional rigs like the double spreader with live or salted minnows have worked for decades and continues to be a standard and effective presentation. However … more and more anglers are finding Simcoe's whitefish are willing to chase food up as far as 30 feet from their customary bottom haunts. This comes as no surprise when you see so many big whities caught each winter. These big brutes don't get to the 10 pound range by simply picking up tid-bits of food off bottom - they crave large shiner minnows and smelt just like any other top predator fish. Therefore… jigging with a spoon like Williams Ice Jig , Rapala's Blue Fox or a Jig A Whopper's Lazer Rocker Minnow can be very productive. For an alternate approach however try one of the seldom used HT Buzz Blades. These offer a horizontal presentation that can be just the ticket for whities that have seen just about everything an ice angler has to drop down a hole … and on Simcoe there are thousands of ice anglers offering remarkably similar presentations. Another bait that has been very hot for winter whities of late is the Badd Boyz lure made in Barrie.. These are best tipped with a small Berkley Gulp Minnow or Power grub and presented right near bottom. Just quiver the bait with a nervous like twitch and set the hook with a sweeping upwards motion when a whitie takes hold. 2007 Prediction: Whitefish action can be hot and cold even during the best winters - which we all know are good and cold, with enough ice to get out. Expect some highly skilled, mobile anglers to remain on big pods of whities almost all winter long because they keep searching for the fish once they have vacated one particular spot. On the flip side, I predict you will hear others complaining about poor catches … but chances are these same anglers aren't working as hard as their counterparts to stay "on fish." For those willing to spend extra time and effort exploring new areas, the whitefish action should be excellent. Who knows, we may even see a whitefish topping the current 14.36 pound record Lake Simcoe whitie caught in 1996. 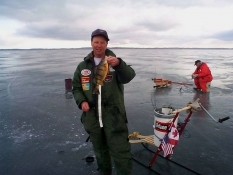 Wil's whitefish tip for 2007: " Whitefish can become rather finicky and even spooked - especially when several ice anglers are overhead in one area, drilling with power augers, moving around on ATV's and tossing down all kinds of spoons and spreaders. Get out early! As tempting as it may be to stay in a warm comfy bed past sun-up, the sad truth is that if you don't begin your quest for winter whities until after the sun has been shining, then you are putting yourself way behind the 8-ball right from the get-go. So, get outta bed you lazy bugger and start drilling when the whitefish are most active- early morning. You could have your two-fish limit by 8am and be ready to chase perch or other species for the rest of the day. Northern Pike: Thanks in great part to the proliferation of aquatic vegetation throughout many parts of the lake; a good pike fishery is flourishing in Simcoe right now. Perhaps not as many of the 15-25 pound trophy northerns we would see caught 15 or more years ago, but the number of pike available to the Simcoe angler may make up for it. Problem is, just because there's lots of them ... it doesn't mean they're easy to catch. Simcoe's wintertime pike can be some of the toughest hardwater pike to catch anywhere in the province thanks in no small part to the ultra clear water conditions. However having said this, many Fish On Line Canada anglers are highly skilled and methodical fishermen who are more scientific in their approach then ever before, so they are still finding these big toothy critters during the hardwater period. 2007 Prediction: Several Lake Simcoe anglers are finally getting the message and targeting these toothy critters exclusively with the tackle and techniques needed to be productive in clear water. This begins by getting rid of those big bulky steel leaders and switching to one made from something like 20 lb test Vanish Fluorocarbon instead. Lake Simcoe has even greater potential to expand its winter pike fishing opportunities in 2007 as every year beautiful green aquatic plants show up in places where they have never grown before! Find some of the remaining green weeds (much of it dies off in winter) and you are in the right habitat for big toothy critters. If you've never experienced a big Simcoe northern racing off with your bait below the ice, then you owe it to yourself to re-focus some of your efforts for 2007. Wil's pike tip for 2007: Many pike remain relatively shallow all winter - check out 4-10 foot flats with heavy aquatic plant growth. Flashy spoons can trigger pike into striking, but often using a second rod rigged with a big minnow is the secret to success. If action is slow, down-size your rig or even try a Polar Tip Up with a dead baitfish on a quick-strike rig right on bottom. In many places on Simcoe you can have the Polar rigged in one spot for big pike and be jigging with ultra light gear a few yards away for the fish coming up next! Yellow Perch: Did I save the best for last? You betcha! My favorite fish during the winter season and I'm not alone - it's the most popular fish in the lake. According to our friends at In-Fisherman Magazine, Lake Simcoe is the "Only world class perch lake remaining in North America". Perhaps measures like a 50 daily perch limit and a 100 possession limit (full sport licence) or 25 daily, 50 possession with a conservation licence, will help to maintain this great fishery. Even better however is that more anglers are now voluntarily releasing many of their perch. They know that 50 perch is an awful lot (too many?) and that regularly bringing back 100 may just be a bit outrageous (greedy?). This is particularly true because the average size of Simcoe's perch exceeds that found in most other popular lakes. If the sheer volume of perch available isn't enough, then keep in mind that Simcoe also holds good numbers of true trophy class yellow perch. Fish exceeding 13 or even 14 inches are not as common as they once were but they are still there in fairly ample supply. These big females hold thousands of eggs and are very important to the future of the fishery so releasing them is critical if you want to perpetuate a trophy fishery. Generally speaking perch are shallow (8-20 feet) at the start of the winter season, move deeper in mid season (25-60 feet) then move shallow again near last ice. Winter perch will roam over sandy flats with sparse aquatic plant growth or relate to mid-lake humps and points. Early mornings often see perch shallow with a progressive movement to deeper water as the day wears on. Simple "Pickerel" type rigs with a couple of single minnows are still popular among some of the old timers but more and more the finesse approach has afflicted the Lake Simcoe winter perch specialist. Marmooska jigs (by HT Enterprises) tipped with a couple of real live maggots have become incredibly effective, Berkley's tiny micro power craws, tubes and grubs have also proven to work real well on their own. In fact some say that their line of Gulp baits which claim to out-produce live bait, actually do! "Leon's Bug" - a wax worm imitating jig produced out of Hillsdale Ontario, and the newer small size Badd Boyz are also dynamite. The Smackin Jacks, small jigging Rapalas, HT's Alien, Rocker and Ice Mite Jigs, - are all artificial baits that have impressed Lake Simcoe's yellow perch anglers. - The key to these and other small artificials for yellow perch thru the ice is to fish them with little movement on light line (1-4lb test). Try to avoid aggressively moving your bait up and down with continual jigging movements. Also use the right rods for the right presentations. For small perch baits and extra light hitting perch many anglers have found the benefits of modifying their existing ice rods with a spring bobber. I have tried various models of these in the past as well but found they often bend, freeze up and become almost useless. Not so with the new Titanium Strike Indicator that Kris has in the Fish On Line shop for only $5.95. These great little units attach easily to any ice rod, won't bend out of shape, can be easily adjusted for sensitivity and are available in a light or regular weight. 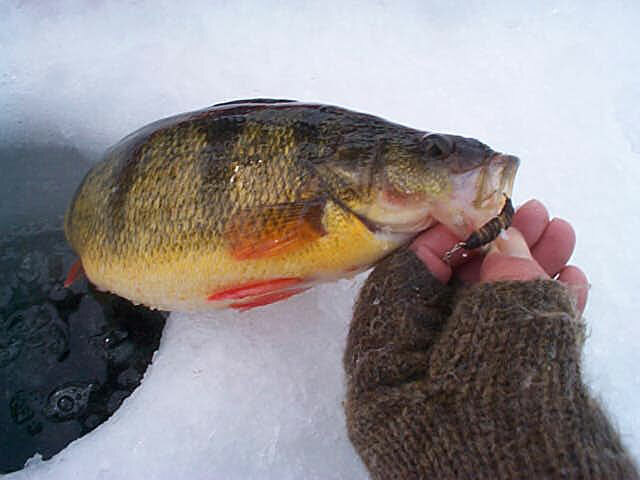 2007 Prediction: Although perch continue to be heavily fished each winter, their numbers do appear to be quite stable. Get ready however for some traditional perch areas like the infamous Cooks Bay to be "turned off" at times again this year as they were in 2006. Likewise, the mid-winter period may once again prove challenging, especially for finding decent numbers of perch. During this tough all-be-it predictable period don't be ashamed to lesson your expectations and settle for catching fewer perch than you would at the start and end of the winter season. This is the time when you may have to work hard for them but you can still do well enough to catch a nice meal for you and your family. 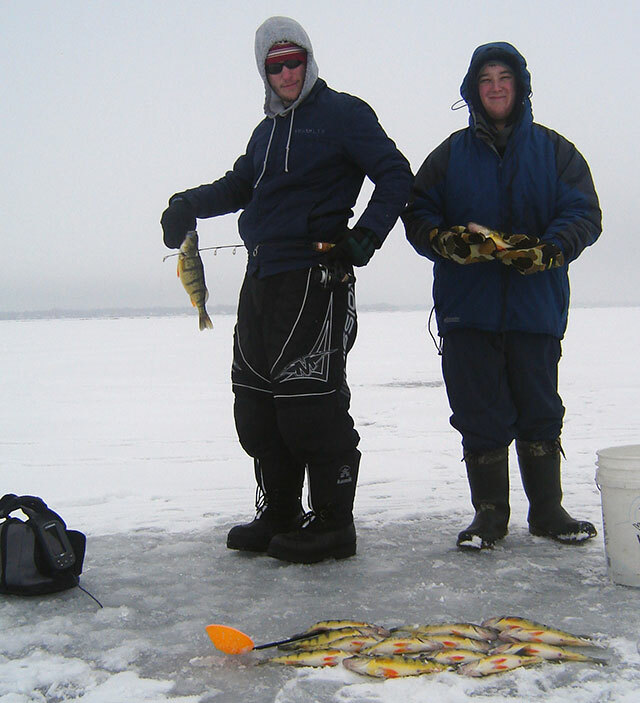 Overall, we should enjoy good hardwater perch fishing in 2007. Could we see another new Ontario record perch taken from the icy waters of Lake Simcoe this winter? You never know! Wil's perch tip for 2007: Move! "Mobility is key!" That's the one message I always pound into the students of the ice fishing courses that I teach at Seneca College in King City. If you aren't catching them in one hole after 10 minutes or so … then get off your duff and drill another nearby or pack-up and try somewhere else all together different. I use my Crossled to boot from spot to spot (some say like a mad-man) - searching for a school until I find them. Once I locate active perch with something like a small Jigging Rapala, I can count on getting even more, less active perch from the school with my finesse baits. It's all about the chase you know… the hunt for a school of big perch; man that's what really drives me! Sometimes you get em …. Sometimes you don't. Once you do get on em though, it makes all the drilling and hard work worthwhile. Fish near bottom most of the time - and don't overwork your bait. If you haven't tried maggots yet for winter perch - you're missing the boat baby! They are hot and no serious winter perch piscator should be without them. Go get em'! Last Tip for the winter of 2007: Lake Simcoe is a huge lake that deserves several visits each winter in order to capitalize on the many ice fishing opportunities available here. Try different areas around the lake for different species and don't be afraid to try some of the hot new artificial baits that will be on the market in 2007. Well of course we have a limited number of huge walleyes, elusive but plentiful black crappie, the occasional rock bass, the seemingly disappearing yet once plentiful smelt, pretty pumpkinseed and now even potentially awesome bluegill sunfish to catch thru the ice on Lake Simcoe. Thankfully bass are closed in the winter so if you catch one 'by accident' you need to quickly release it. Same goes for any muskie or cisco (lake herring) you might catch. These fish are closed year round. Final Word - "Let's All Get Along"
Locals may not always be thrilled about the fact that Simcoe is recognized as "The most intensively fished inland lake in the province". But, local merchants, ice hut operators, gas stations, bait & tackle shops, motels, restaurants and so on are all thankful for the business. Many rely on the winter period for the majority of their annual income. With the thousands of visitors to the lake each winter however it should be expected that there are some local residents who are not thrilled with all the "out-of towners" parking along 'their' side streets. Hopefully this winter local residents will be a little more tolerant of the visitors to their tourist-based communities and realize how important these visitors are to the financial well-being of the town. Anglers too must understand that they are visitors in someone else's community and therefore apply the Golden Rule when staying there for a few hours or days to enjoy ice fishing. Bring back and properly dispose of all garbage, don't park where you will block a driveway and be courteous to locals. Access and parking areas are available around the lake and are usually visible by the number of vehicles parked in those areas so park there whenever possible. Stay away from those no-parking streets because rest-assured you will get ticketed. 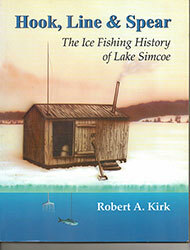 Have a great ice fishing season all you Fishing Lake Simcoe readers. Remember, keep it safe, keep the lake clean, obey the fishing regs, report poachers, conserve our fishery, bring some kids ice fishing, respect others who enjoy the lake and have fun with the wonderful fishing opportunities that the hard waters of Lake Simcoe have to offer.